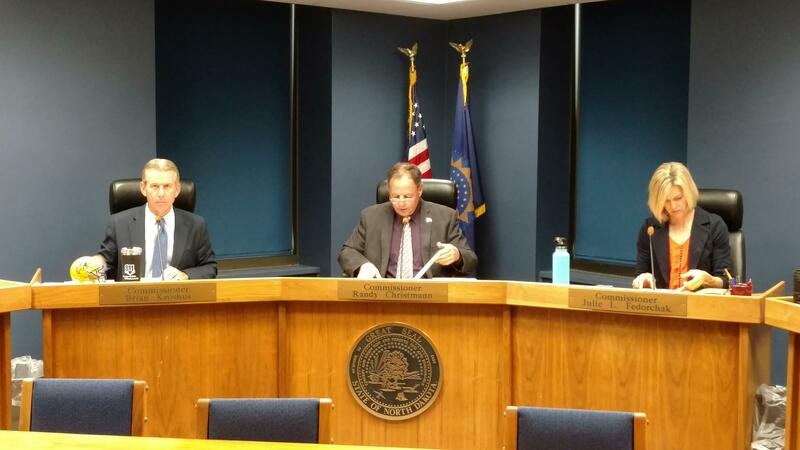 Public Service Commissioners Brian Kroshus (l), chairman Randy Christmann and Julie Fedorchak. The North Dakota Public Service Commission has given the go-ahead to Hess Corporation to convert 19 miles of oil gathering pipeline to a transmission line. That pipeline will connect to the Dakota Access Pipeline. It will have a capacity of up to 160,000 barrels of oil per day. Hess will have to build three booster pumps. The cost of the conversion and addition of the booster pumps: $114 million. "All in all, I think it's an example of maximizing the existing infrastructure," said Commissioner Julie Fedorchak. "This is reducing the environmental impact by not requiring the construction of an entirely new line. Also, it's good to use pipelines in general, and to take advantage of the capacity on the DAPL line." The conversion project should be completed by the fourth quarter of 2019. A crude oil pipeline that was converted from a gathering line to a transmission line will be carrying more crude. 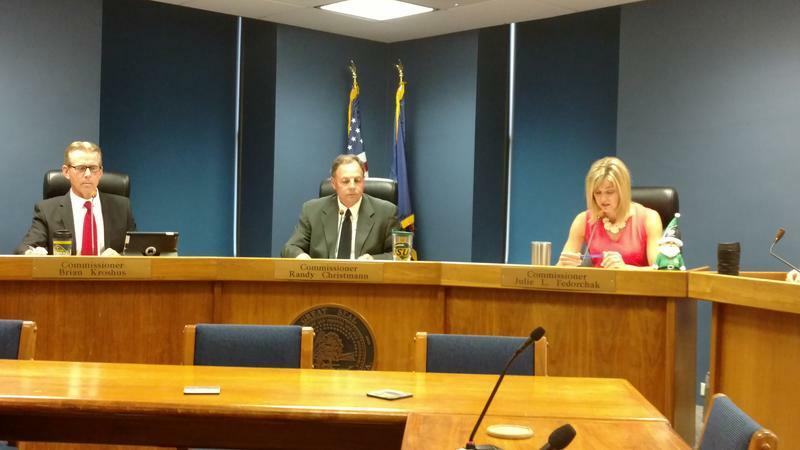 The Public Service Commission gave the OK to Hiland Crude, LLC's plan to increase the capacity from 36,000 barrels a day to 85,000 barrels a day. The pipeline itself will not change – but Hiland is also building more storage. "They've gotten more producers interested in using that pipeline," said Commissioner Julie Fedorchak. "One of which is the competion of the Dakota Access Pipeline, and this is a feeder to that." Drilling activity may have slowed in the Williston Basin. But so-called “mid-stream” companies are still busy, planning and building pipelines, natural gas processing plants and other infrastructure. "The midstream industry is a long-term industry," said North Dakota Pipeline Authority director Justin Kringstad. "It has a long term vision of these projects. They're looking at the oil play with a five, 10, 15, 20-plus play in mind." Kringstad said with current oil prices low, one might think the mid-stream companies may be a little hesitant.